Weng Yee Ng is a Director at FRA. She holds more than 16 years of experience in external and internal audit and forensic accounting. Her expertise includes compliance reviews, internal investigations, litigation support (both civil and criminal), risk assessments, evaluation of compliance programs, Foreign Corrupt Practices Act (FCPA) monitorships for both the DOJ and SEC, disgorgement and penalty calculations, procurement fraud matters and third party due diligence. Weng Yee is currently working on a risk assessment and evaluation of compliance program for an aviation company. She has recently completed compliance monitorships for a medical devices company and for a financial transaction systems manufacturer, both with global presence, a proactive anti-bribery and corruption review for an international bank and several internal investigations into whistleblower alerts for a CAC 40 automotive original equipment manufacturer (OEM). 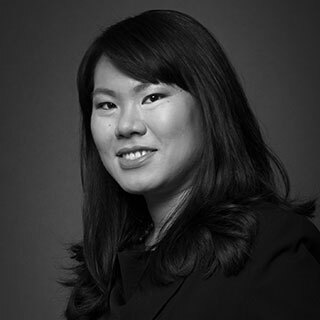 Having spent over six years working in-country in Malaysia, Weng Yee possesses a first-hand understanding of the business nuances and financial and reporting practices encountered in Malaysia and in other Southeast Asia countries. Prior to FRA, Weng Yee was involved in statutory audits, advising on Initial Public Offering (IPO) and debt restructuring exercises, and performing SOX compliance audits for companies in, among others, the financial services, chemicals, construction, real estate, retail, pharmaceutical, education, electronics, extraction, oil and gas, and consumer goods sectors. Weng Yee is multilingual in English, Malay, Cantonese and Mandarin, and is familiar with Bahasa Indonesia and Spanish. She has conducted work in USA, Canada, Chile, Colombia, Costa Rica, Ireland, France, Germany, Switzerland, Hungary, Italy, South Africa, China, Indonesia, Philippines, Singapore, Thailand and Australia. 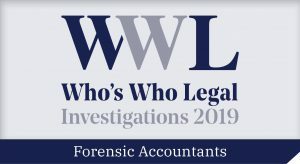 Weng Yee is recognized in Who’s Who Legal Investigations Forensic Accountants 2018 and 2019 who say: Weng Yee Ng stands out in the market for her extensive experience providing top-quality forensic accounting services for major corporations all over the world, with sources calling her extremely spot on, knowledgeable and efficient.